I just came across this amazing website awesometapesfromafrica.blogspot.com. Anybody with more than a passing interest in African music could explore it for days. 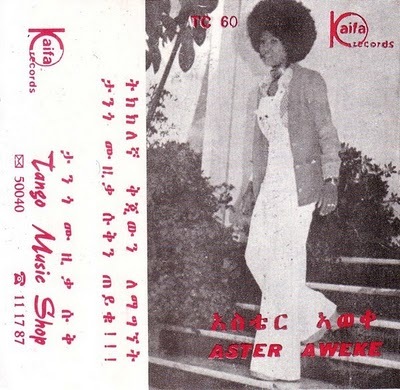 But if you like Aster Aweke, download the old cassette posted in October 2010. Sounds totally different & very much older and more traditional than other other CD or cassette I’ve ever heard from her. Fascinating stuff.